January 18, 2018 - New Yorker Electronics has released a new film capacitor that maintains exceptionally high robustness under high humidity. 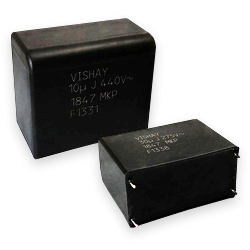 The Vishay Roederstein MKP1847H AC Filtering Metalized Polypropylene Film Capacitors feature maximum continuous AC voltages of 250VAC, 310VAC, 350VAC and 480VAC (50Hz / 60Hz range). It was also named a recent Vishay Super 12 Featured Product. Designed to withstand high humidity environments, the Vishay Roederstein capacitor series is ideal for use in outdoor functions, renewable energy, welding equipment and more. It is intended for high power supplies and large drive applications. The device is Temperature Humidity Bias (THB) Capacitor Grade III – rated at 85°C, 85% relative humidity and 1000 hours at rated UNAC. Another important feature is the segmented film with segmented metallized electrodes to prevent full capacitor burnout. 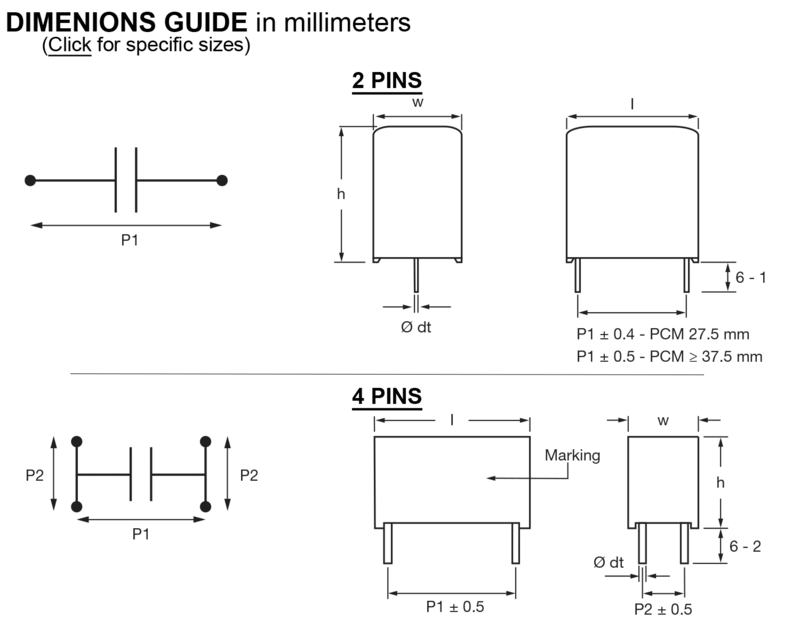 It has a rated capacitance range of 1µF to 36µF and capacitance tolerances of ±10- and ±5-percent. New Yorker Electronics is a franchise distributor for Vishay Roederstein and carries the full line of 2017 Vishay Super 12 Featured Products as well as its complete line of discrete semiconductors (diodes, MOSFETs and infrared optoelectronics) and passive electronic components (resistors, inductors and capacitors).